The 2018 Alltech Global Feed Survey, released today, estimates that international feed tonnage has exceeded 1 billion tonnes for the second consecutive year, with a total of 1.07 billion tonnes of feed produced in 2017. The growth seen in 2017 was strong at 2.57% over last year. The feed industry, valued at $430 billion, has seen 13% growth over the past five years, equating to an average of 2.49% per annum. This substantial growth is supported by the higher reported consumption of meat, milk and eggs. The seventh edition of the annual survey is the most comprehensive ever, now covering 144 countries and more than 30,000 feed mills. The results show that China and the US remain the top two countries, producing one-third of all animal feed, and that predominant growth came from the pig, broiler and dairy feed sectors as well as the European and Asia-Pacific regions. The top seven feed-producing countries in 2017, in order of production output importance, were China, the US, Brazil, Russia, Mexico, India and Spain. These countries contain approximately 54% of the world’s feed mills and account for 53% of total production. These countries can be viewed as an indicator of the trends in agriculture. · North America: The U.S. remains the second-largest feed-producing country globally, behind China. North America produces a third of the beef feed, five times that of the next-largest producer. The US and Canada are two of the top horse feed producing countries. Feed prices in North America are lower than when compared to other regions. · Latin America: Brazil remained the leader in feed production for the region and third overall globally. Brazil, Mexico and Argentina account for almost 75% of regional feed production. Mexico leads the region in beef and layer feed production. Latin America as a region has had the third-highest growth rate over five years, seen primarily in aqua, horses and pets. · Europe: Tied with Asia-Pacific for the fastest-growing regions, Europe saw a 3 percent feed tonnage growth, resulting from increases in pig, boiler and aqua feed production. The region was led by Russia with 37.6 million tons produced in 2017, moving up in the country rankings from number seven to number four. Russia increased its estimated pig feed, including more private production. 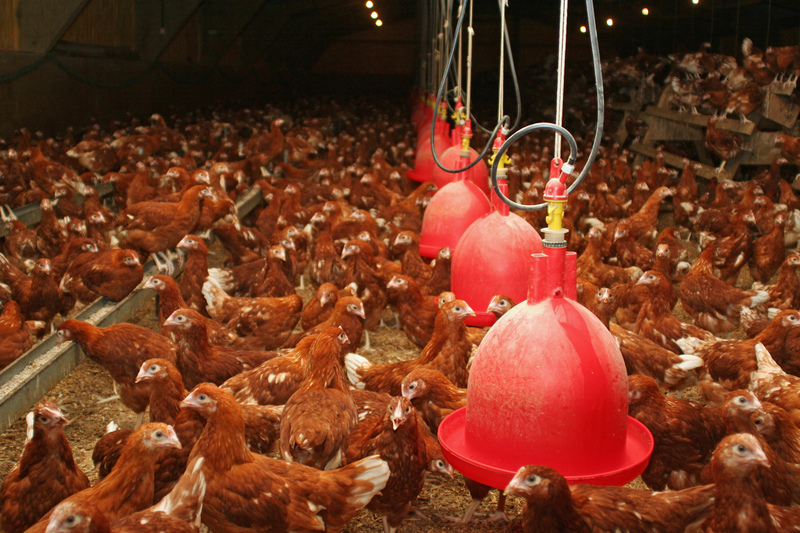 Russian broiler feed production also increased by 3%, while Ukraine, Romania, the U.K. and Belgium also reported higher numbers, supporting growth in the European region. Europe is the top pet food producing region. · Asia-Pacific: The Asia-Pacific region accounts for more than 35% of the world’s feed tonnage. China remained the top feed-producing country in the world with 186.86 million metric tons, a slight decline in overall feed production compared to last year. Asia-Pacific increased by 3% over the 2017 survey results, primarily due to increases in pig and pet food production. Increased production for Asia-Pacific also came from India with 7% and Thailand with 8% growth. Vietnam grew 4% over the past year and is the second-highest producer of pig and aqua feed in the Asia-Pacific region. Seventy percent of all aqua feed and 44% of all layer feed is produced in Asia-Pacific countries. · Africa: Africa remains the fastest growing region in the world for dairy and broiler feeds. With a regional average growth rate of nearly 30% over the last five years, it did not show growth in 2017. Pig, dairy, layer and boiler feed production increased, while decreases occurred in beef and aquaculture. Also, on average, Africa is the most expensive region for feeding pigs, layers and broilers. Smaller countries such as Botswana and Mozambique led the growth for pig, dairy, layer and broiler feeds. Beef feed production decreases were reflected in countries such as Zambia and Morocco. While many African nations showed a small increase in aquaculture feed production, the region as a whole was down primarily because of lower reported feed production in Egypt, which has now been surpassed by Nigeria. · In the poultry industry, broiler feed production increased across all regions, with the largest growth found in Africa with 10% and Europe with 7%. Romania, Russia and Ukraine all reported steady growth, contributing to Europe’s overall production, while Africa’s growth came primarily from Egypt, Uganda and Mozambique. · Global leaders in pork production, China and Russia, led the way in pig feed production in 2017. Many smaller African countries, particularly Kenya, Tanzania, Mozambique, Uganda and Namibia, also showed increases. · Global dairy feed production saw growth across all regions. Europe, a global leader in dairy production, grew on average by approximately 2%. Africa as a region saw the largest dairy feed production increase by 10%, with countries such as South Africa, Morocco and Zimbabwe showing significant increases from their reported 2017 dairy feed production. · Beef feed production reported an overall global decline of approximately 1 percent, primarily in regions such as Latin America, Africa and Europe. This global downward trend has generally been felt by the industry for some time as more consumers turn to “white” meats such as chicken, pork and fish. · Overall aquaculture feeds showed a slight increase, particularly in the European and Asia-Pacific regions. China reported a decline of 5% this year and in 2016, which could be linked to government controls on feeding practices and food safety, such as the administration of antibiotics. Brazil, Chile and Peru led the increase in production in Latin America, as did Iran in the Middle East. Carp leads the production of aquaculture feed, followed by shrimp/prawn and tilapia. Catfish, salmon and trout also ranked on the species feed indicator, though to lesser degrees. · The pet food sector had a strong year across all regions. Asia-Pacific’s pet food production increased by 13%, with China, Thailand and Taiwan as the primary contributors to the increase. Europe increased by 17% with Russia, the Czech Republic, Romania, Poland and Hungary producing over 580,000 metric tons of additional pet food. Uruguay, Ecuador, El Salvador, Chile and Argentina represent almost all of the pet food production growth in Latin America, combining for 725,000 more tons.